This FCB1 Crystal Clear Flat Crinkle Bag is 3 3/4" x 10" and is ideal for multi-piece products and gift packaging. Cookies kits, and bath and stationery sets work great in these flat poly bags. Thin material enables easy crinkling to adapt this package to your product size. 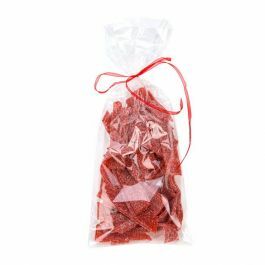 Crystal Clear Crinkle Bags are thinner, 1.2 mil, BOPP bags, ideal for gift packaging. FCB1 measures 3 3/4" x 10" and is the perfect solution for kits and sets with multiple products such as stationery, cookies, bath products, and more. 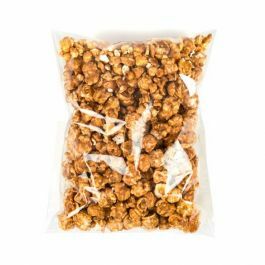 These bags are also work well for bulk packaging of pretzels, candies, licorice and treats. Add a tin or plastic twist tie for a colorful finish. These flat poly bags can also be sealed with a standard hand sealer. These bags are not gusseted, but perfect for lightweight items.. Outer Dimensions: 3 3/4" x 10"
Most popular use is for packaging bulk items and multi-piece sets.